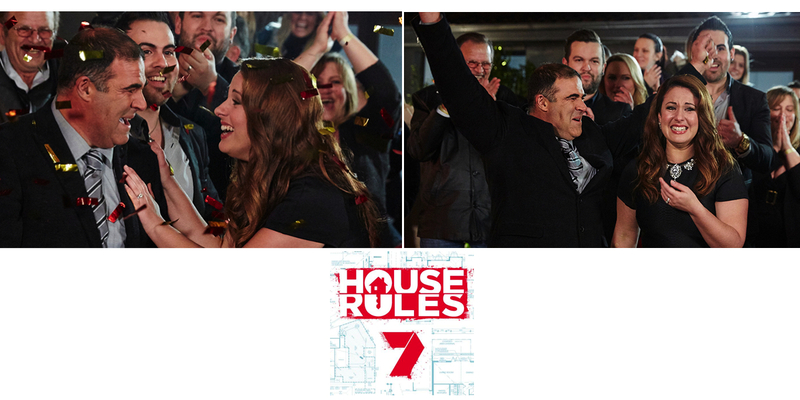 Seven’s House Rules finished last night, with NSW father-daughter team Steve & Tiana Falzon beating Queensland. Following the transformation of six houses’ interiors, four houses’ gardens/exteriors, a holiday house and a special charity project, the finalists were challenged to transform each others’ garages. The Falzon’s prize is their mortgage being paid off, announced by host Joh Griggs live on air.